Each time I ponder over the marriage of two unwilling brides who had no say in their forceful union- amalgamation of the northern and the southern protectorates on the 14th February 1914, a day set aside to celebrate love all over the world, by Sir Lord Luggard- as well as the pre and post-independence political structure of Nigeria, one leadership lesson comes flooding; that great leaders encourage their followers to do what they don’t like in order to get what they want. 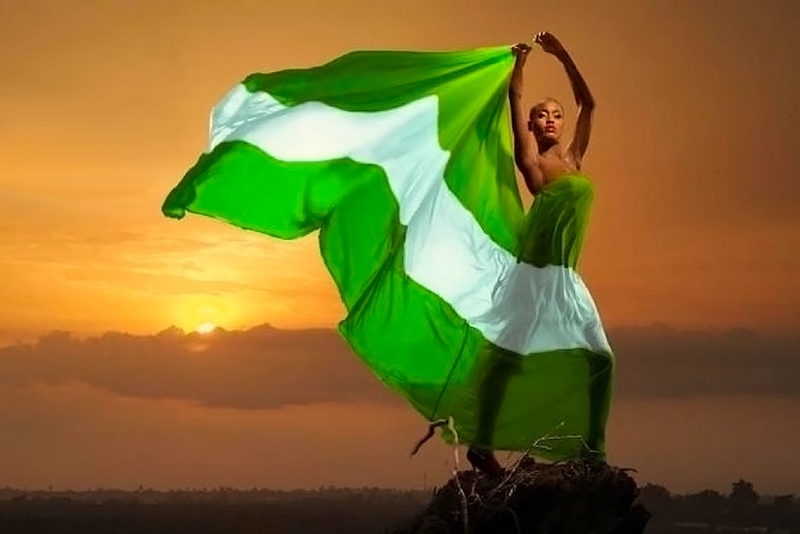 Like the human body, Nigeria via the amalgamation became a political entity that is symbolically constituted and necessarily located in the body not to function independently but planned to be turned into grist for a symbiotic existence. Certainly, the British colonial overlords probably intended the protectorates to compete, corporate and operate in a symmetrical manner with no part of the amalgams claiming superiority over the other. And at independence in 1960, Nigeria became a federation, resting firmly on a tripod of three federating regions-Northern, Eastern and Western Regions. Each of the regions as envisaged was economically and politically viable to steer its own ship and the results were evidently visible. This unity in diversity continued until the arrival of the ‘will-of-man’ on our political domain; just immediately, the spirit of corporation and sameness transcended to the teaching of regional specificity and tribal particularity. While this re-schooling was ongoing, the ‘soul’ of the triadic relationship departed the political space, mutual suspicion became the sum-total and the denominator of our nationhood. And as a consequence, despondency and drooping spirit descended on the nation once referred to as the giant of Africa and it stopped matching forward, but groped and stumbled; the people divided and confused while their moral values and confidence sink. This marked the beginning of our leadership challenge as a nation. Not minding what others may say, the problem that led to the current polarized posturing of the nation’s political space is more of manmade than natural, more of leadership gaps than socioeconomic challenges and compounded by a misguided view of amalgamation by some segments of Nigerians as more of a historicized occurrence without any barefaced or hidden advantage to the nation; a mindset that further promoted deliberate demonstration of impunity, as well as superiority by one group or region against the other. But in dramatizing this superiority, the point the people did forget is that never should one ‘be so foolish to believe that you are stirring admiration by flaunting the qualities that raised you above others. By making them aware of their inferior positions, you are only stirring unhappy admiration or envy that will gnaw at them until they undermine you in ways that you may not foresee'. It is only the fools that dare the god of envy by flaunting his victory'. The sad news, however, is that this avoidable situation was allowed to complete its gestation and finally gave birth to what is now known and addressed in our political domain as ‘call for restructuring’ or agitation for resources control. But at a more significant level is the leadership performance deficit which has plundered the socio-economic affairs of the nation to a sorry state; an occurrence that stems from an unknown leadership style described by analysts as neither ‘system nor method based’; without anything exemplary or impressive. While this appalling situation daily unfolds on our political space, the global leadership stage is littered with telling evidence about leaders that have demonstrated leadership sagacity and professional ingenuity that our leaders have refused to replicate their resourcefulness on our shores. For instance, in 1932, Franklin D Roosevelt, the Democratic Party candidate, United State of America was elected president in the midst of the great depression. At the time of inauguration in 1933, one-quarter of the labour force was out of a job, with many thrown into poverty. Industrial production had fallen and investments had collapsed. But within two years into his administration, he revived the economy and moved to the next stage of his agenda. He signed the social security act which introduced the modern welfare state into the united state pension at retirement, unemployment benefits and some public health care and disability benefits. When asked how? he responded thus;”extraordinary conditions call for extraordinary remedies” This to my mind is leadership accomplishment worthy of emulation. Regrettably, our leadership challenge is given a boost by the ground propensity and penchant for corrupt, nepotistic practices of our ‘leaders’ since independence, a development that is gradually becoming a norm; a state of affairs vast majority of Nigerians claims was responsible for the inability of the nation’s successive leaders to alleviate the real condition of the poor, the deprived, the lonely, the oppressed or get into their lives and participate in their struggle. Looking at commentaries, one can, therefore, discern that the above is largely responsible for the youth’s restiveness and tribal aggressions as the masses continue to fight in order to register their grievance against state-sponsored socioeconomic deprivations or one tribe against the other. It is also of considerable significance to this discourse to note that this leadership challenge has visited Nigerians with not just poverty but what analysts described as ‘island poverty’ or poverty in the midst of plenty; which has in turn promoted both hopelessness and powerlessness among innocent Nigerians. But in all, one thing seems to stand out, our leadership challenge or bad governance was implanted by our leaders, encouraged by our unquestioning obedience to the ‘authorities. This situation can only be reduced or erased by Nigerians. Having discovered the challenge threatening the continued existence of our country, it, therefore, becomes imperative that whatever measure the nation may want to use in tackling this challenge can only succeed if it probably puts in place steps that will guarantee leadership restructuring. Part of that effort will entail recognizing that the solution to our leadership challenge may afterward not be based on argument or debate but by the quality of the people in charge. This will be followed by frantic effort to create a ‘civil society that will help sort out the irresponsible from the response in leadership. Another inoculation that will cure this leadership challenge will demand development of mindset for details and history necessary for today’s leadership. To succeed on this job, therefore, it will also be of paramount value if the nation can think of generational change in leadership by placing their existential faith in the youths who had integrity, intellect, energy to build an enduring nation without minding the recent remark on the youth by our president.